On the occasion of the newspaper article of the Namibian Sun from the 28th of June 2016 ”Donated water plant broken for six years”, this press information aims to provide some facts regarding the points addressed in the article*. In Northern Namibia water as a resource is under increasing pressure. 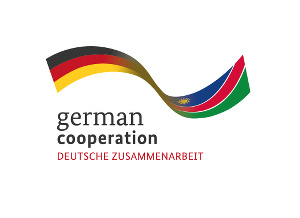 To strengthen the potential of the Cuvelai-Etosha Basin’s water resources the Namibian-German research and development project “CuveWaters” contributed to an Integrated Water Resources Management (IWRM) between 2006 and 2015. The aim was to demonstrate solutions for a sustainable water supply and sanitation. Desalination was one of several technologies which were implemented by the project. The joint project was coordinated by ISOE – Institute for Social-Ecological Research (Germany) and conducted in cooperation with the Institute IWAR at the Technische Universität Darmstadt (Germany) and the Ministry of Agriculture, Water and Forestry (MAWF), Outapi Town Council (OTC) and further entities. In 2006, the Namibian-German research and development project, CuveWaters started. It was funded by the Federal Ministry for Education and Research (BMBF) with about 200 million Namibian Dollars** during its 10 year duration. The project aimed to establish a bundle of different technologies for sustainable water supply and sanitation: rain- and floodwater harvesting combined with gardening at Epyeshona and Iipopo, sanitation and reuse of treated waste­water for agricultural production at Outapi, and small-scale groundwater desalination at Amarika and Akutsima. This was framed by capacity development, participation, empirical studies and knowledge management. Mid-2010, the solar-powered desalination pilot plants became operational at Amarika and Akutsima after been installed by the project team together with local caretakers, the MAWF and German and Namibian industry partners. The different desalination technologies were tailored to local conditions and implemented according to the needs and demands of the local people. The plants use solar power as a source of energy and are each capable of producing 0.5 to 5 cubicmetres (depending on the technology) per day of drinking water – which is in accordance with the Namibian Drinking Water Standards. After inauguration in 2010 the plant in Amarika and the two plants in Akutsima were operational for more than 3 years with only short interruptions. A monitoring of the plants functioning was conducted by the engineering partners. In November 2013, the plants were officially handed over to MAWF. In March/April and November 2015, the MAWF and CuveWaters agreed on final optimization and maintenance works. As a result the plants were fully functional with the exception that one plant at Akutsima still showed damages at the solar collectors; these damages could be handled without specialised spare parts. The CuveWaters project finished at the end of 2015. Since 2010, training was an integral part of the project. Several trainings of water operators, local caretakers, service provider and DWSSC staff members were held. This started during the construction of the plants, continued until the handover to MAWF and was also part of the post-handover period as a support until the last training in November 2015. Almost all spare parts can be obtained in Namibia and can be bought on the home market. Additionally many spare parts are kept in stock on-site and Namibian service providers possess the expertise to fix even major problems. In conclusion, the desalination plants at Amarika and Akutsima aimed, firstly, at improving the access of rural residents to a safe freshwater resource throughout the whole year. Secondly, the plants serve to increase the knowledge in Namibia about this technology because it was seen by Namibian stakeholders as an option for unburden the pressure to the water supply infrastructure in remote areas, in particular in times of drought. Thus, Namibia’s interest induced that CuveWaters addressed research and development activities on adapted, innovative solutions regarding desalination of saline groundwater in Namiba and the region. CuveWaters was a joint project of the ISOE, Frankfurt (Germany) on the Main and the Technische Universität Darmstadt (Germany) between 2006 and 2015. It was sponsored by the Federal Ministry of Education and Research (BMBF). The Namibian cooperating partners were the Ministry of Agriculture, Water and Forestry (MAWF), the Outapi Town Council (OTC), the Desert Research Foundation of Namibia (DRFN), the University of Namibia (UNAM) and the Namibia University of Science and Technology (NUST). Besides Amarika and Akutsima, there were project sites in lipopo, Outapi and Epyeshona. The ISOE is one of the leading independent institutes engaged in sustainability research. For more than 25 years the institute has been developing scientific bases and future-orientated concepts for politics, civil society and economy – on a regional, national, and international level. Areas of research include water, energy, climate protection, mobility, urban space, biodiversity and social-ecological systems.